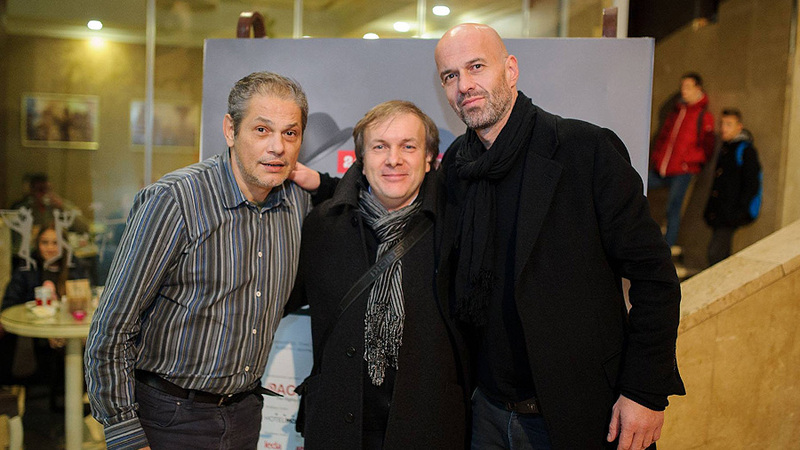 With screening of movie „Lazar“ by Svetozar Ristovski in Competition Program the fifth day of MOFF was finished. Screening took place at the Croatian House of herceg Stjepan Kosača. Also, audience took great interest in first theatrical feature „Across the Bridge of Love“, unordinary love story, by young Kristian Barbarić. Tough, intimate and touching, all in one, documentary „Sve je to bio dobar san“ by Branko Ištvančić, was shown in program DocuSpectre. Documentary tells a story about the war in Croatia and young French volunteer Jean-Michel Nicolier, his fight for city of Vukovar and his tragic death at Ovčara. First projections at MOFF on the fifth day were organized for young ones, and the second part of trilogy about boy Koko was shown; movie called „Mysterious Boy“ directed by Dražen Žarković. In „ Movie Discussions“ we hosted Sejo Sexon and Zenit Đozić. They presented documentary “No Smoking in Sarajevo“, story about band „Zabranjeno pušenje“ (No Smoking) and their early works such as „Nadrelity Show“ and movement „New Primitivism“. In Mostar’s Golden Pub musician Neša Galija entertained audience long through the night. On Tuesday 29th of November the very last movie in Competition program is going to be shown, film „Ministry of Love“. Also in Children’s program there will be shown the last part of movie trilogy about boy Koko, and in program Docu spectre two movies „The Man who Eat Himself“ and „Sonja“.